Mr. Covington is the President of the American Association of Suicidology and has served on the National Action Alliance for Suicide Prevention Executive Committee since 2010. 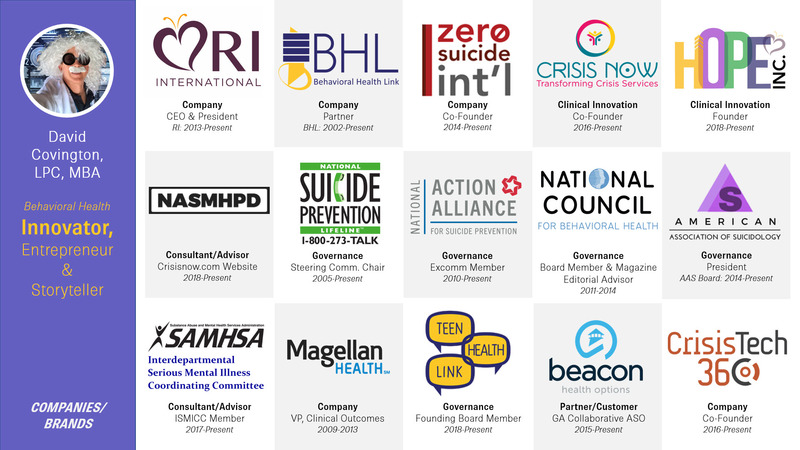 He is also the Chair of the National Suicide Prevention Lifeline SAMHSA Steering Committee. He has served on numerous committees and task forces on clinical care and crisis services, including the National Council for Behavioral Health Board of Directors.